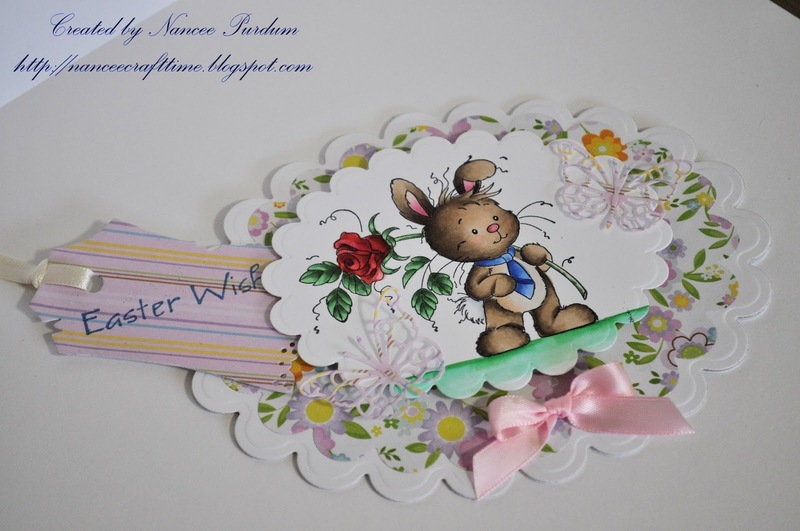 For my second Easter card this weekend I decided to try a shaped card. I tried a simple shape for my first one using a Grand Scallpped Ovals as my card base. I used paper from the same paper pad, Four Seasons from The Paper Studio. I used Magnolia Vintage Tag die and Pippi Butterfly from Memory Box. Here is a closup of Wee Bunny. 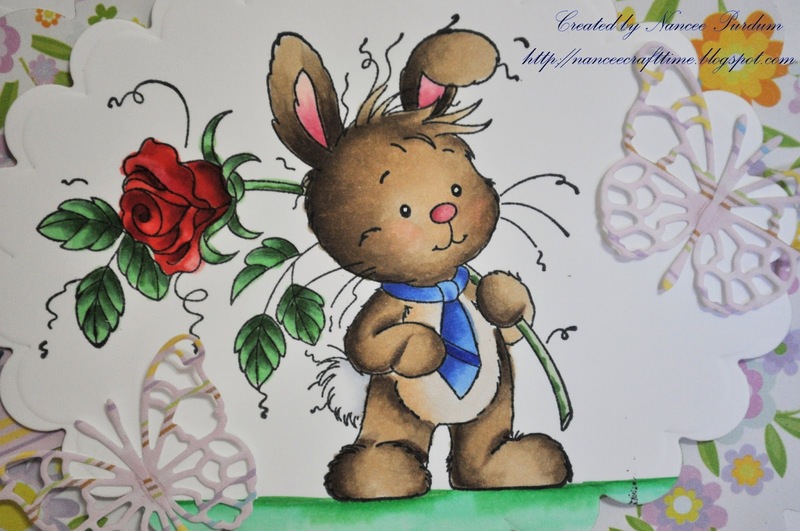 The Copics I used to color Wee Bunny are E40, E41, E42, E43, E44, E47. His ears are colored with R000, R81, R83, and R85. I used B21, B24, B26, and B38 for his tie. The leaves and stem are colored with YG61, YG41, YG45, YG67. The rose is R0000, R22, R24, R27, and R29. Many thanks for your lovely comment on my card. This is so sweet Nancee, your colouring, shape and pretty tag. Fabulous Easter card. Great card! Your coloring is fabulous! All so cute! 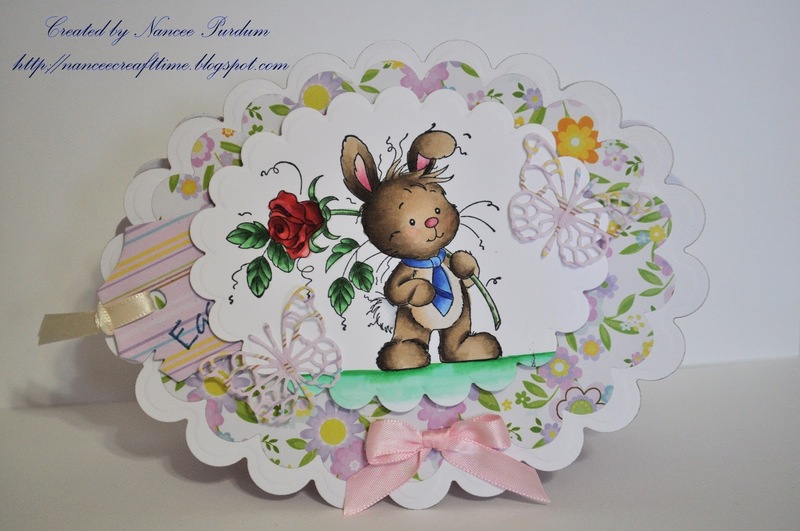 Stunning shape card, I love the colours and the stamp is lovely. Darling card, Nancee. Love your super cute Easter Bunny. Sweet shape card with fab coloring ! Such a sweet card! It made me smile. so sweet Nancee! Adorable image and awesome coloring!